Public access to the site is now restricted but is available through pre-booked guided tours . 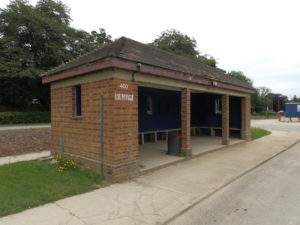 Tours begin at the RAF Heyford Heritage Centre (Building 103) off Camp Road (turn in to former main gate, follow yellow signage for School Bus Drop Off, first exit off roundabout, Building 103 is last building on left). The standard tour begins at 11:00 am and lasts for approximately three hours. Unfortunately booking cancellations or date changes cannot be accepted. Photography is welcomed. There is one restricted area only. The visit begins with a short video on the history RAF Upper Heyford Heritage Centre (Building 103). 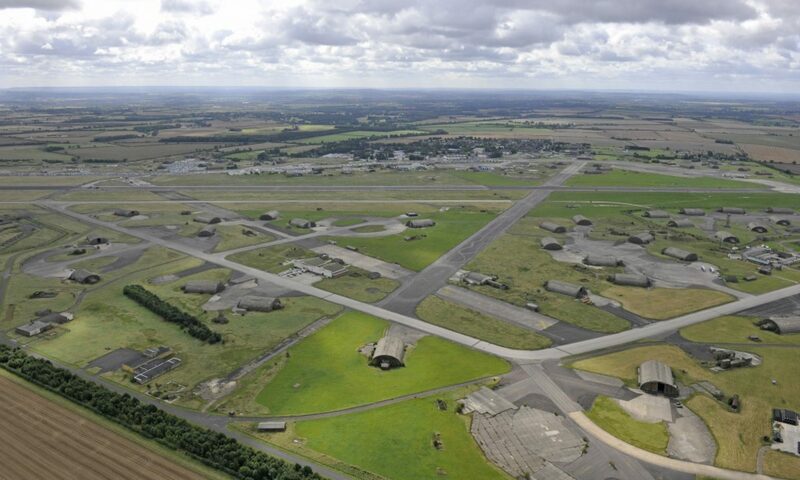 The guided tour concentrates on the USAF flying field and command operations during the height of the Cold War when RAF Upper Heyford was a target for Warsaw Pact forces. This is a selection of what can be seen. Tours may include visits to other buildings and areas depending on essential maintenance work, filming or other onsite activities. Aircraft were dispersed around the airfield and placed in shelters to protect them from the weather. These shelters were ‘hardened’ with concrete to protect against a direct hit from a 500 lb high explosive bomb. 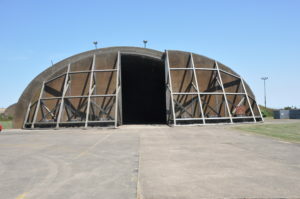 56 of the Hardened Aircraft Shelters (HASs) were built at Heyford and all remain. Two HASs are designated for heritage use. Between 1981 and 1986 nine HASs formed the QRA (Quick Reaction Alert) area where the Victor Alert Mission kept eight aircraft fuelled and armed ready to take off in less than 15 minutes. The aircrew lived in the QRA for 72 hour shifts. 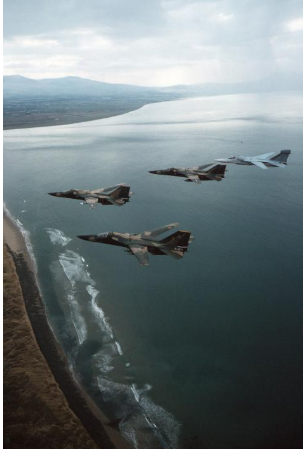 Maintenance operations had to be continued during wartime and so the 20th CRS (Component Repair Squadron) Avionics Maintenance Facility (Building 299) was opened in 1981 for maintaining F-111E TFR (terrain following radar) and other avionics. This was extended for EF-111A Raven avionics maintenance. 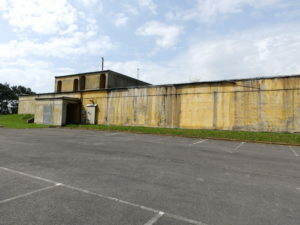 Proof against a 1000lb bomb and with its own decontamination unit, it is one of only two such buildings in the UK and is a scheduled monument. In 2013 Brad Pick cycled past Building 299 during the making of the film ‘World War Z’. From 1970 three squadrons of F-111E strike aircraft were based at Heyford, joined by thirteen EF-111A Ravens in 1985. All these units had their own headquarters buildings with a ‘hardened’ side for protection against bombing and a decontamination unit. 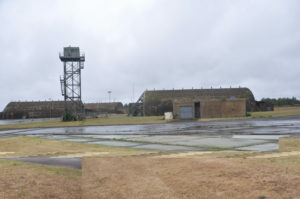 Operational control of the aircraft, and defence of the airbase from aerial attack, was directed by the 1000 lb bombproof Hardened Command Post (Building 126). 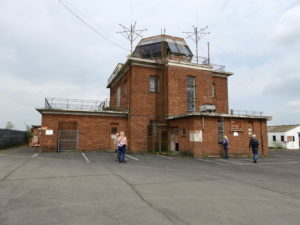 Flying field air and ground movements were directed by the Control Tower with RAPCON (Radar Approach Control) taking over instrument flight rules (IFR) approaches. 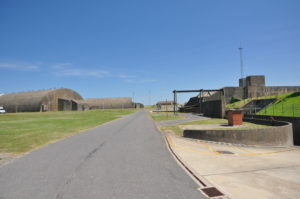 Ordnance was kept in the Conventional Weapons Storage Area (Southern Bomb Store) and Sophisticated Weapons Storage Area (Northern Bomb Store). 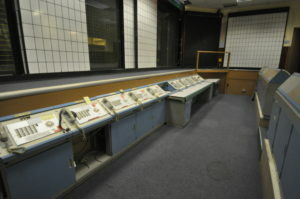 The 2013 film ‘REDS 2’ and series 3 of the Channel 4 ‘Humans’ were filmed in the Northern Bomb Store. 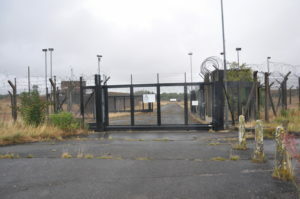 RAF and USAF housing and other buildings can be seen still on the former domestic site south of Camp Road. Ex-military buildings can be identified by their numbers. Please respect the privacy of the people who live there now.